If you’d like the pattern, you can find it here on Ravelry. 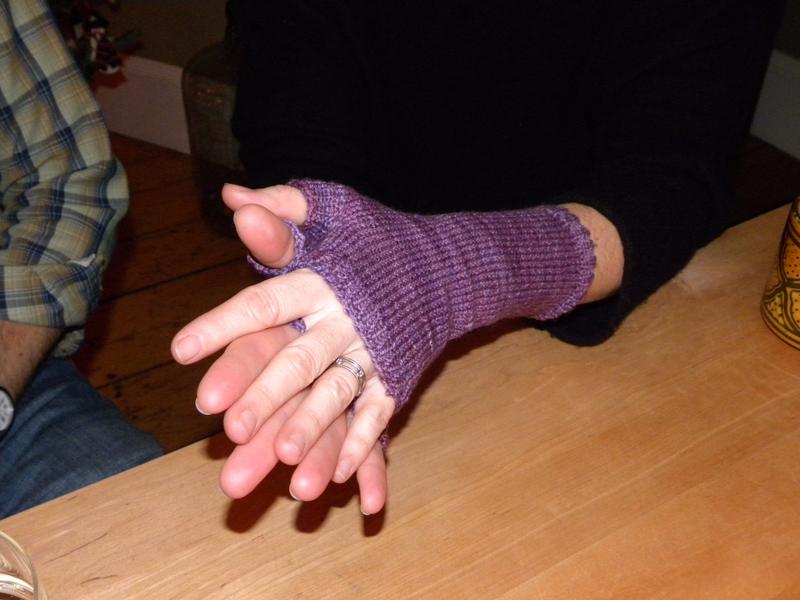 They’re called Easy Handspun Mitts. They use sock yarn. Great for knitting while watching TV. Finally, when I was done knitting 4000 pairs of fingerless mitts (or three pairs in a row…which feels like 4000 pairs) I got started on the scarf. Click here for the pattern. 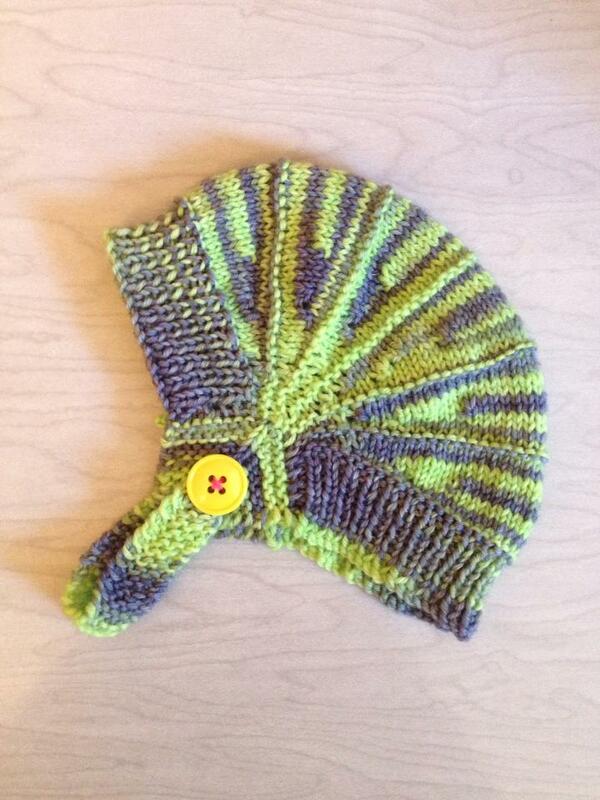 I used my own Mustard Seed Yarn Lab yarn, a bulky weight I called Triton. I started this scarf over 4 times or more, trying to get the right size, the right density, using different needles and tweaking the pattern just a bit. Wanna see what I have so far? Not sure which voice to listen to, I decided to just keep going. I’ve simply got too much time invested into this scarf, and the thought of ripping it out (again) and trying to figure out a way to make it not curl….sigh….I just don’t want to. (whine) So we’ll see what happens after it’s blocked. 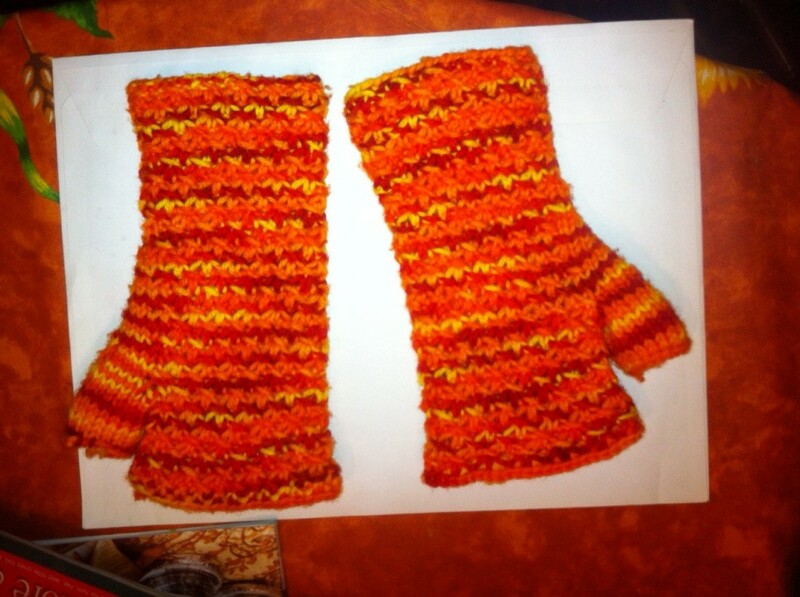 And then we have Hallie in CT. Hallie bought my Fire Storm yarn and recently sent me this picture of some fingerless mitts she knitted up during Hurricane Sandy as a gift for a cousin. BTW, I just finished The Kitchen House, which I really liked. Next up : Gone Girl by Gillian Flynn. I’ve heard good things about it. Anyone else out there read it? Is it as good as all the hype? Love it all!! The scarf is going to curl even if blocked. I know this because Vash’s robot scarf curls now too. Give him a note with instructions to steam block if it starts again. (Vash’s robot scarf is sitting on my ironing board now.) 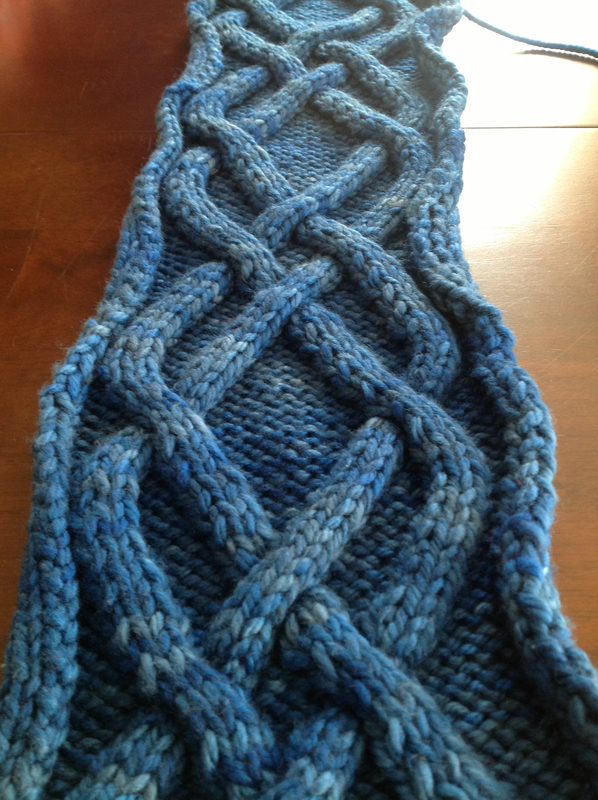 The other option is to create a ribbed edging, picking up the stitches all along the edge of the length of the scarf and then doing about 5-10 rows of k2 p2 ribbing. Its a beautiful scarf – the color (not surprisingly) is awesome. Some of us LOVE blue. 8D And cables!